To be honest, prior to this adventure I had never been on a fat bike. Looking back, it is a pleasant reminder that diving into unfamiliar territory can be an incredible and inspiring experience. Albeit uncomfortable at times, it made me feel alive again — like everything is new and possible. 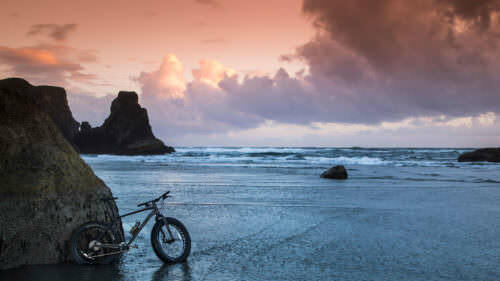 We created a series of bike rides aimed at riding the beaches on fat bikes along Oregon’s South Coast. We gathered a group of friends to explore the area and to learn about the ins and outs of fat biking at the Oregon Coast. 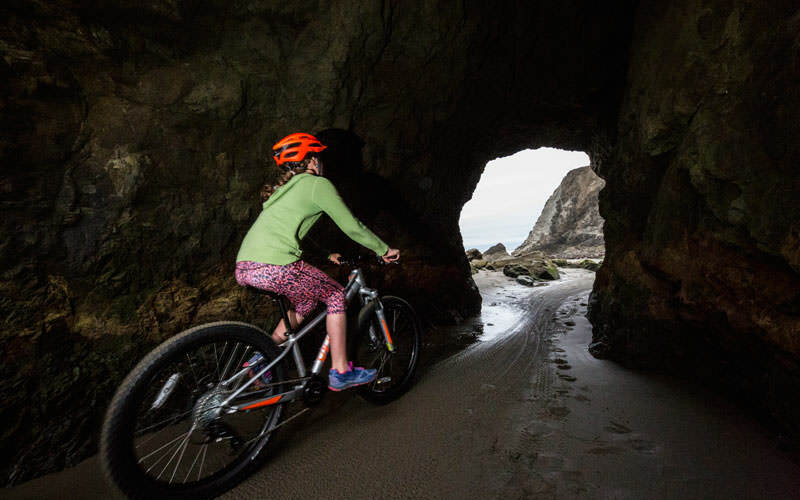 The Bandon Beach Ride is the best fit for children as it has many easy options to jump out to the road to get back to your vehicle quickly. Fat bikes are essentially mountain bikes with much fatter tires, which make them great for riding on sand so your tires don’t sink in. 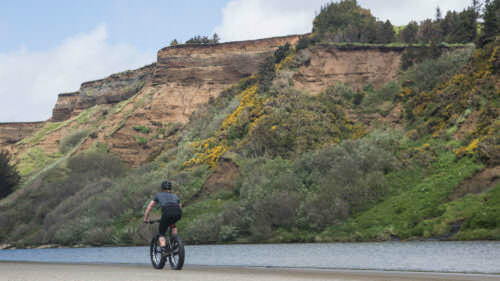 In these articles we’ll showcase the best fat bike rides on the southern Oregon Coast along with tips and tricks to get you started and our favorite finds for eating and lodging. This ride presents challenges with a few stream crossings. Plan to ride around low tide. 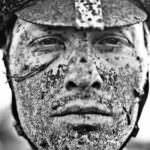 Make it easier by splitting it into two days or add difficulty by doing the entire ride in one full day. For directions and map details, follow the self-guided Ride with GPS route. I met up with a group of newly founded friends from South Coast Bicycles, where I rented my fat bike. They were able to provide great intel on the tidal level and wind direction, plus a thing or two about fat bikes. On this day, the wind was coming from the northwest. Shuttle service Pineapple Express Adventure Rides dropped us off on the north side of the route, making Seven Devils State Recreation Site our official departure point. The park has a restroom (vault toilet) but no running water, so we made sure to fill up our water bottles before embarking on the journey. Once on the beach, we could only go in two directions — making it nearly impossible to get lost. We took a moment to appreciate the simplicity and ease of this ride, coasting down the Oregon Coast. It felt great to relax and settle into enjoying the experience. Knowing my ability to navigate a new area, this was a major bonus and made traveling with kids even easier. The fat bike tires are so wide they provide enough suspension to keep the ride comfortable and traction to keep you upright without much effort. From Seven Devils beach we headed south, with large sandy cliffs on our left. We pedaled different segments of the beach, finding the right paths that allowed us to roll along as effortlessly as we could, avoiding the soft sand as much as possible. This is a fun, ever-changing challenge, depending on the tidal levels. Generally speaking, if you ride at low tide and fairly close to the waterline, you’ll be fine. Just be safe, and watch out for those sneaker waves. Never turn your back to the ocean. We crossed a few small streams, high enough to get our feet wet and low enough that we never left the saddle. After riding below the-world famous Bandon Dunes Golf Resort for four miles, we reached the rocky outcropped jetty. 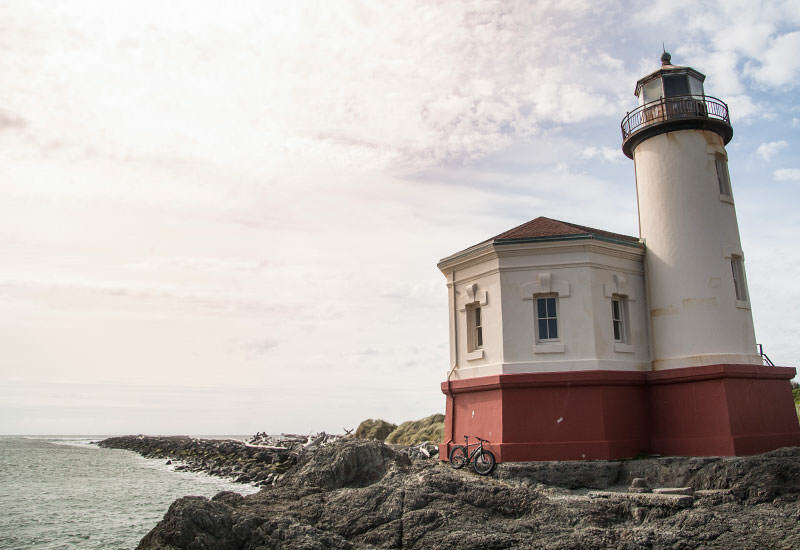 The iconic Coquille River Lighthouse makes a great pit stop (with an open restroom). We sat watching the waves crash with a great view of Bandon from across the river. Departing the lighthouse, we left the beach and headed back into town on gorgeous, smooth blacktop: Bullards Beach Road. Accelerating quickly, we wound along the river with stunning views of the marsh. 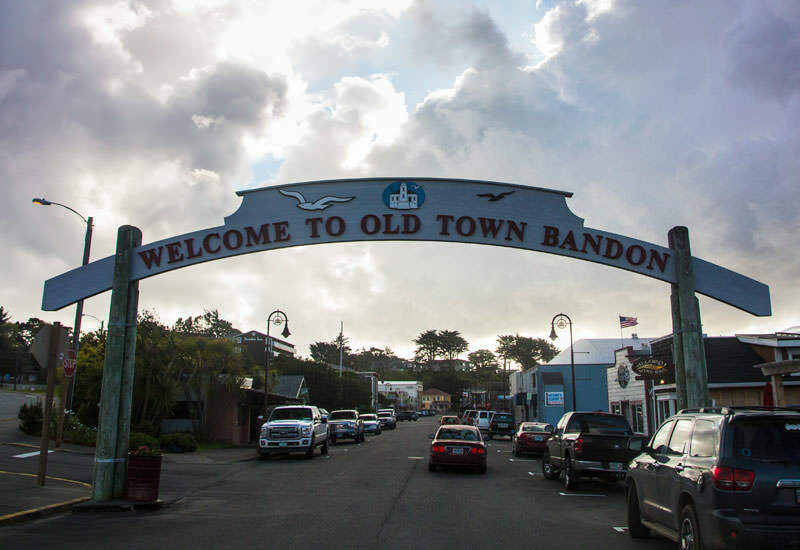 Once over the steel bridge, we headed south and back to the quaint town of Bandon. Enjoying our roll through town, we stopped for a quick cup of coffee and bite to eat at the Minute Cafe. After fueling up in town, we dove into the best part of the ride: the bonus loop. It is worth noting that you can split this into two days of riding if one full day feels like too much. I pinched myself this entire ride — a true showstopper. It felt more like Iceland than Oregon, and I loved every bit of it. Named one of the “100 best beaches around the world” by CNN, Face Rock State Scenic Viewpoint is simply stunning. Native American folklore gave name to the massive rocks, silhouettes of Chief Siskiyou’s beautiful daughter, Ewauna, and her pets who were taken by Seatka, the evil spirit of the ocean. 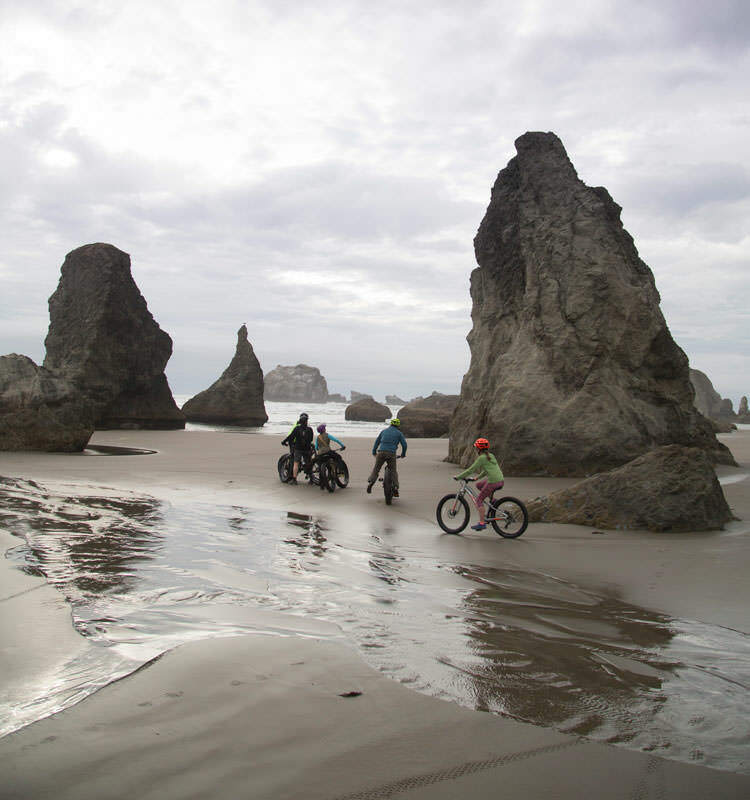 Riding around, identifying each of the iconic sea stacks — Face Rock, Cat Rock, Table Rock, Wizard’s Hat and Elephant Rock — we were like kids on a playground. We chased each other around pillars, through arches and over the squishy sea kelp, laughing the day away. Once we tuckered ourselves out, we cruised south to China Creek Beach, where we crossed a small river and jumped back onto the pavement. Riding back up Beach Loop Road, sharing stories about everything we had seen, we started dreaming of dinner and a good night’s rest. A full day with big views and even bigger smiles, this trip is not one we would soon forget. 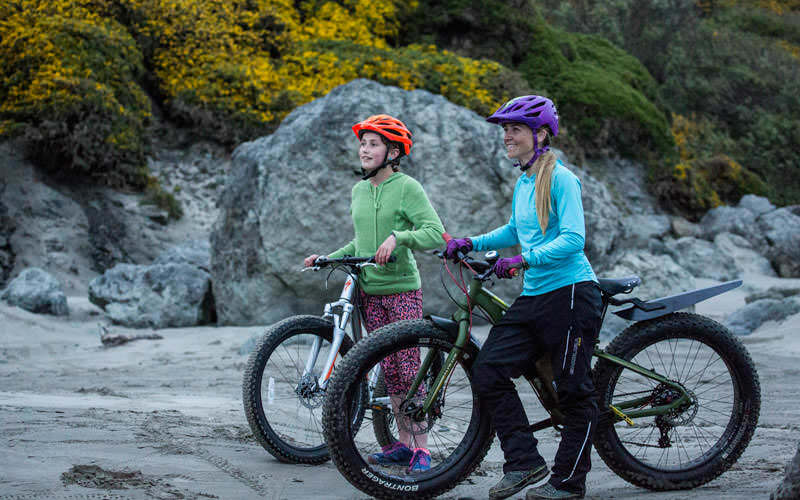 When fat biking on the Oregon Coast, there is one insider tip to follow: ride the beach with a tailwind. By this I mean assess the wind direction and allow that to steer you north or south. You want the wind at your back. On your return, ride the road instead of the beach and you will be naturally sheltered by trees and houses, which dissipate the wind. Or, do what we did and hire a shuttle service. This allows you to enjoy the best part of the ride, then jump in a van to take you back. Another key consideration (that I almost learned the hard way) is to complete this ride at low tide. There are a few sections that are impassable at high tide due to the water level crashing up against the cliff edges. At low tide, you can cover more ground, faster, and explore more of the stunning tunnels and rock features. Don’t have a fat bike? Not to fear, South Coast Bicycles has you covered. Stop by and say hi to Karl, who knows a thing or two about cycling. Need proof? Look at the stars-and-stripes jerseys lining the shop walls. Pineapple Express will take care of you if you want a quick shuttle to one end or a full-service tour, where they remove the tedious planning part by riding with you. Erin is fun, bubbly and the perfect person to show you around a new zone. Minute Cafe: You’ll feel like a local at this down-home breakfast spot. Tony’s Crab Shack: The fresh-off-the-boat shack provides delicious, no-frills meals with ocean vibes. Alloro Wine Bar: Sip and feast at this touch of the big city in charming Bandon. Bandon Dunes Golf Resort: For a high-end meal, check out the fine food at Bandon Dunes. The Inn at Old Town: This nice little hotel is walking distance to everything downtown. Bandon Inn: Large hotel with a view while still being walking distance to downtown. 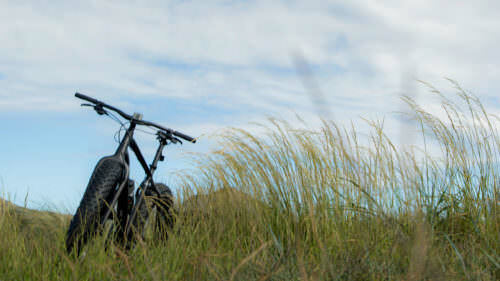 Sunset Oceanfront Lodging: With views of Face Rock, this hotel makes a great starting point for a fat-bike ride.